Doctor Who Tenth Doctor (David Tennant) Has "Meta-Regeneration"
Did we really miss a regeneration of the Doctor on Doctor Who? Here are some of the best theories. If you're a fan of Doctor Who, then you know about regenerations: the process that the alien Doctor goes through when he's mortally injured to rebuild his body and take on a slightly different personality. It was established in "The Deadly Assassin" (1976) that a Gallifreyan can regenerate twelve times in a cycle. Since Peter Capaldi would become the Twelfth incarnation, that meant there could never be another only be one more actor in the role. Or so we thought. Recently, in a RadioTimes interview, lead writer and executive producer Steven Moffat said we missed something. He said, "I think you should go back to your DVDs and count [the number of regenerations] correctly this time. There’s something you’ve all missed." So a bunch of fans did. Here are the most interesting and inexplicable fan theories for what we "missed." For reference, here are the thirteen incarnations of The Doctor in order: William Hartnell, Patrick Troughton, Jon Pertwee, Tom Baker, Peter Davison, Colin Baker, Sylvester McCoy, Paul McGann, Christopher Eccleston, David Tennant, Matt Smith and Peter Capaldi will be the next one. The Theory: The Time Lord High Council controlled regeneration limits, and they're all stuck in the "Time War" along with the Daleks. Without the High Council, Gallifreyans can regenerate as many times as they need to. 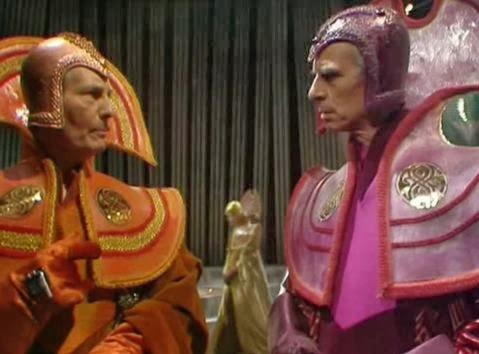 Why it Makes Sense: In "The Five Doctors" (1983), the Time Lord High Council offers the Master a new cycle of regenerations. In "The Sound of Drums" (2007), we find that the Time Lords gave him a new body. 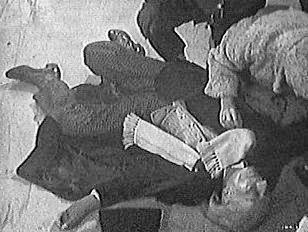 In "War Games" (1969), they force the Doctor to regenerate. In fact, the BBC FAQ said, "Now that his people are gone, who knows? Time Lords used to have 13 lives." The Only Problem Is... The Regeneration limit is biological and not political. The Time Lords have been able to overcome the limit, but without them, there's no way to do it. 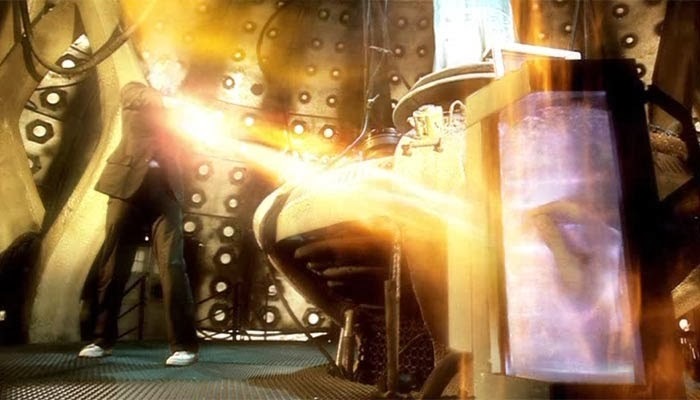 The Theory: In the episode "Let's Kill Hitler," River Song (a human with Time Lord characteristics) uses her regeneration energy to heal the Doctor.This gives him extra regenerations to work with. Why it Makes Sense: Amy Pond said she used all her remaining regenerations "in one go." Since she was on her third regeneration, this means she gave the Doctor the rest of her regenerations. The Only Problem Is... No one said she "gave" her regenerations to him. They only said that she used the energy. She wasn't dying and couldn't have been using full regeneration energy. The Theory: In "The War Games," the Second Doctor is exiled by the Time Lord High Council to Earth. When he complains that he's known on Earth and it might be "awkward," they tell him "the time has come for you to change your appearance." This wasn't a regeneration, but just a change in his look. Why it Makes Sense: If the Doctor didn't regenerate, then that gives him an extra incarnation to work with. That would make Peter Capaldi the Eleventh Doctor and not the Twelfth. The Only Problem Is... In several episodes, different regenerations of the Doctor meet each other. In the 1973 episode "The Two Doctors," "The Five Doctors" (1983), and "The Two Doctors" (1985), multiple regenerations of the Doctor appear and Troughton was one of them. In the first two appearances, he was working with Jon Pertwee's Doctor who he called "Fancy Pants." So, they couldn't have been the same person and Troughton is clearly another regeneration. The Theory: In "The Stolen Earth," the Doctor is wounded and goes into the TARDIS. He transfers "excess" regeneration energy into a jar with his severed hand. 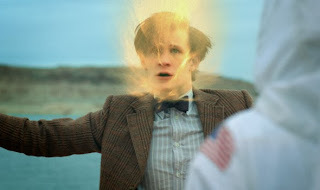 He actually regenerated, even though he didn't change his appearance. That makes Smith the Twelfth Doctor and Capaldi the Thirteeth Doctor. He's already gone past the regeneration limit. Why it Makes Sense: The idea that he can stop regeneration is ridiculous, since he has no control over it. He must have regenerated. The Only Problem Is... In "The Lodger," Matt Smith's Doctor points to his face and said, "Eleventh." That means Tennant was the Tenth Doctor. The Theory: In "The Impossible Astronaut," the Eleventh Doctor is shot twice. While we know he didn't die, he did regenerate. This would make him the Twelfth Doctor. Why it Makes Sense: The Doctor was clearly regenerating since we see energy pouring out of him. The Only Problem Is... It wasn't the Doctor, but a mechanical replica of the Doctor. The Teselecta, a shapechanging robot, took the Doctor's place and faked his death. The Theory: In between his Eighth and Ninth regenerations, the Doctor took over the body of another to extend his regenerations. 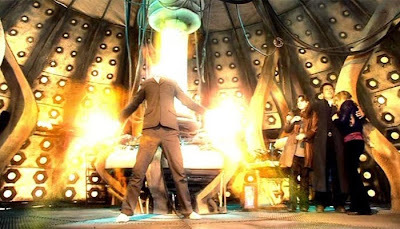 Why it Makes Sense: We know it's possible to take over another body since the evil Time Lord (known as The Master) was able to overcome his regeneration limit by taking over the body of another person. In "The Keeper of Traken" and "Logopolis," the Master merges with Tremas. In the Doctor Who TV movie, the Doctor says "A Time Lord has thirteen lives and The Master's used all of his." But that didn't stop the Master from taking over the body of an ambulance driver. There's nothing stopping the Doctor from doing the same thing. The Only Problem Is... In order to do that, the Doctor would have to do something heinous and cruel, by intentionally killing another person to save his life. This goes against everything the Doctor believes in. If he's done this in the past, that might be why The Doctor hates the John Hurt Doctor, but it seems unlikely. 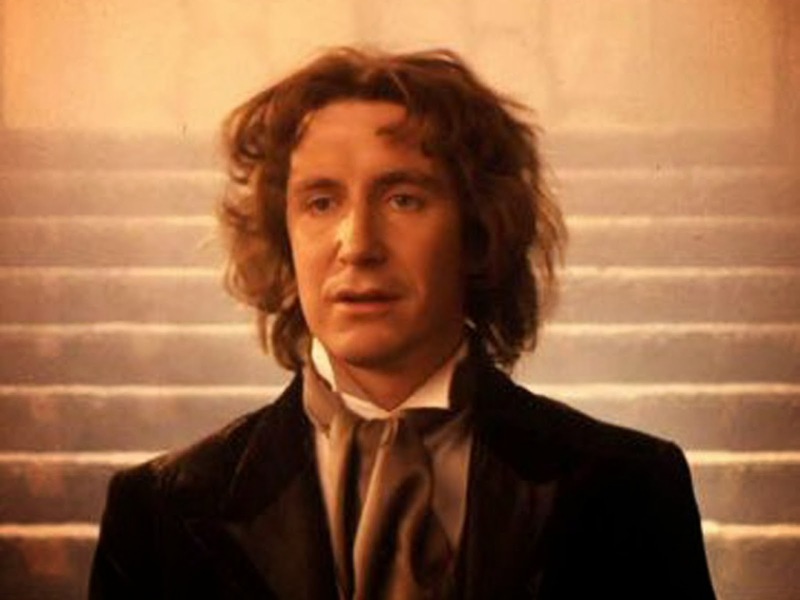 The Theory: The only regeneration we haven't seen is Paul McGann regenerating into the Eccleston Doctor (or the John Hurt Doctor). In the first episode of the Ninth Doctor, "Rose," he seems surprised by his appearance, so we assume he recently regenerated. But what if he just changed his appearance and didn't regenerate? Why it Makes Sense: The Time Lord companion Romana, could change her appearance at will and, in Destiny of the Daleks, tried on several different appearances before changing from Mary Tamm to Lalla Ward. If we believe the theory that the Doctor can change appearance without regenerating, then it makes sense. What are the odds he changed right before meeting Rose? Plus, he didn't act like he was in mortal danger recently. If he'd just regenerated, then who killed him? The Only Problem Is...There's no proof the Doctor can change form without regenerating. 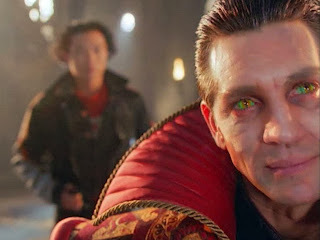 Plus, several people refer to Matt Smith as being the Eleventh Doctor meaning Eccleston must have been the Ninth Doctor. Update: The new webisode "Night of the Doctor" established that the Eight Doctor did force a controlled regeneration. It still doesn't explain the Ninth Doctor regeneration, but all will be revealed soon hopefully. The Theory: We assume the First Doctor only regenerated the first time into Patrick Troughton, which would make Peter Capaldi the Twelfth Doctor. But if it's not, then he's already broken the regeneration limit. Why It Makes Sense: In the episode "War Games," when he says he doesn't want to change his appearance, the Time Lords say " Your appearance has changed before, it will change again." This means the Doctor regenerated. The Only Problem Is...It's been said many times Hartnell is the first Doctor. In "Mawdryn Undead" the Fifth Doctor says he has eight incarnations left. In "The Five Doctors," Peter Davison's Doctor says that he is the fourth regeneration while the First Doctor refers to himself as the "original." 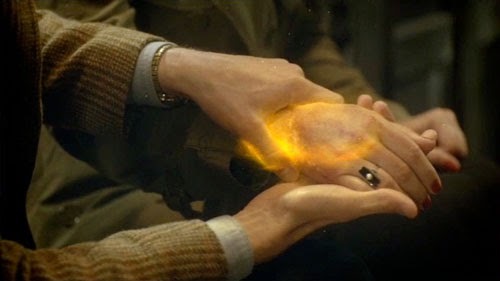 Also in the Doctor Who movie, the Doctor says, "In all my travels through space and time, and nearing the end of my seventh life..."
The Theory: In "Angels Take Manhattan," when Matt Smith's Doctor sees River's hand is broken, he uses his regeneration energy to heal it. This means he partially regenerated and became the Twelfth Doctor. Why it Makes Sense: River says it "was a stupid waste of regeneration energy," meaning that he tapped into a finite amount of energy used in transformations. The Only Problem Is... He didn't change. Plus, in "Name of the Doctor," Claire calls him the Eleventh Doctor after seeing images of all of the Doctors running by. Clara says, "I saw all of you. Eleven faces, all of them you! You're the eleventh Doctor!" The Theory: In "The Trial of a Time Lord," the Master shows the Doctor "an amalgamation of the darker side of the Doctor's nature" from between his twelfth and final incarnations. The Valeyard is a future regeneration and shows the Doctor can have more than 12 lives. Why it Makes Sense: We already known the Twelfth Doctor is Capaldi, so the Valeyard is a Doctor we haven't seen yet. The Only Problem Is... The Valeyard isn't real. He was just a creation of The Master. The Valeyard is a future regeneration and the physical manifestation of the Doctor’s dark side. But that means he can't be the regeneration Moffat was talking about. The Theory: Everyone that ever said the number of the Doctor is lying. Matt Smith isn't the Eleventh Doctor. Why it Makes Sense: If everyone that said the number of Doctors was wrong, then we don't really know what regeneration the Doctor is at. He might be the third, eighth, or even the 607th Doctor. 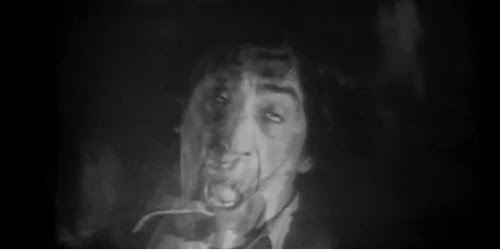 In The Brain of Morbius, the Doctor is shown a series of incarnations of the Doctor that "lost" and there are eight regenerations from before Hartnell. That means there are more regenerations than we know and the limit has already been broken. The Only Problem Is... This theory means every reference to the number of Doctors and regenerations is a lie. That means everyone, including when the Doctor's talking to himself, is lying about the number of regenerations. Not likely. Do any of these theories make sense? What do you think Mofatt meant by what we "missed?" Did you have your own theory about the Doctor? Does it make sense? Are you confused yet? My theory is it's a TV show and as long as the ratings are good they'll have as many Doctors as they need. Interesting Theories. i don't think these are possibilities except he might have gotten a new life cycle during the Time War. Interesting. I don't watch the show and some of this went over my head. I've been meaning to watch it, though. Point 8 is also supported by The Brain of Morbius. During the mental battle with Morbius, eight faces we've never seen before are shown following Pertwee, Troughton and Hartnell's faces. Fans have since retconned these as Morbius' previous lives, but the production team's intention was to imply that Hartnell wasn't the first. In regards to the Valeyard, he was not a creation of the Master. 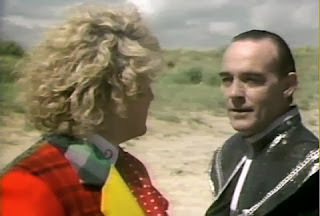 Far from it: the Master was scared of the Valeyard because if the Doctor keeps defeating him, then how could the Master handle a Doctor without any moral scruples? These are great insights Whiplash. You're right about the Valeyard, so I'll clarify that one. I'd argue that the point about the original intention of the writers is moot since some writers have made some huge blunders that needed to get retconned (The Doctor is half-human?) so while the idea of the first regenerations never came till later, it has been contradicted. Thanks for joining in the discussion! I've always been curious about the Time War and what we might have missed out on. Just as I've wondered about the faces seen during The Brain of Morbius. Whatever Moffat is referring to when he says we missed something, I can't wait to find out what it is! Lots of unanswered questions. Whatever it is L.G. it's going to be interesting. Poll: How Would You Bring STAR TREK Back to TV?